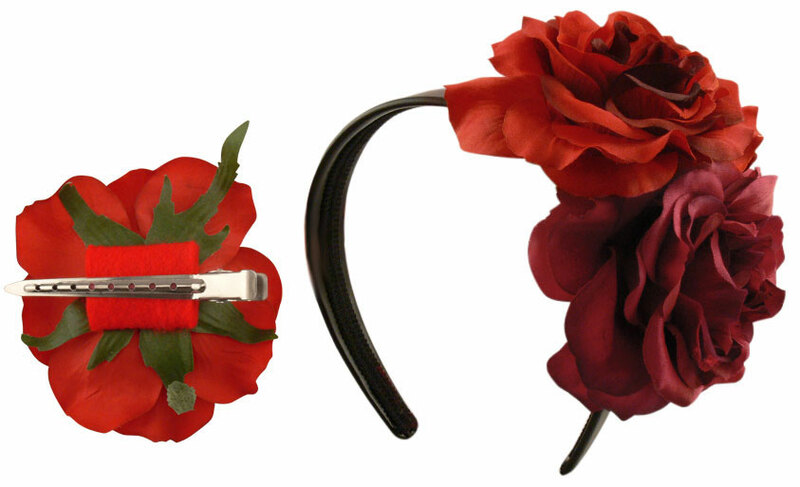 3.5" rose flowers with felt loop for sliding on and off black leather headband. 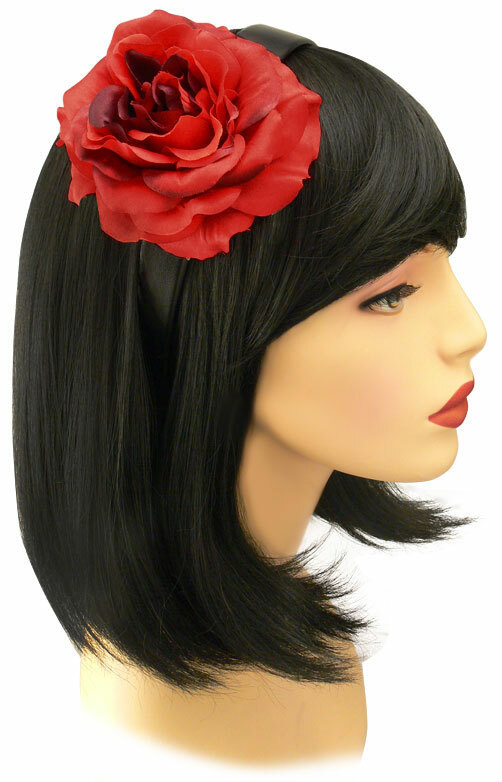 Can be worn as a single flower, too. 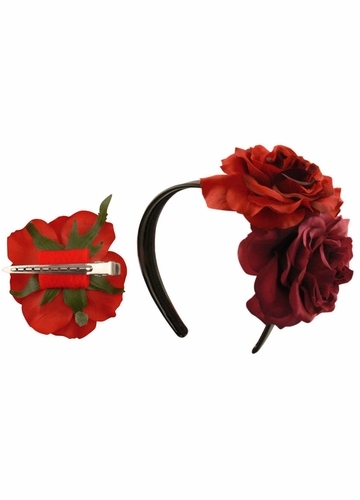 Includes 2 roses, headband and 2 clips.